We’re bringing you our highlights from Feast Portland – four days of delicious food and some very deep conversations in an airstream trailer. We begin with one of the most buzzed-about events at Feast Portland this year, Zero Proof, an alcohol-free dinner that brought together chefs including Andrew Zimmern and Michael Solomonov. Next, we get an insider’s look into the history of Portland’s dining scene. How did it become the foodie mecca it is today? Elias Cairo of Olympia Provisions interviews one of his mentors, Monique Siu, a key figure in the Portland restaurant scene since she opened Zefiro in 1990. Joining the HRN team on our trip out west were Andrew Friedman and Dana Cowin. Both of their shows, Andrew Talks to Chefs and Speaking Broadly, feature long-form, in-depth interviews with chefs and food industry insiders. 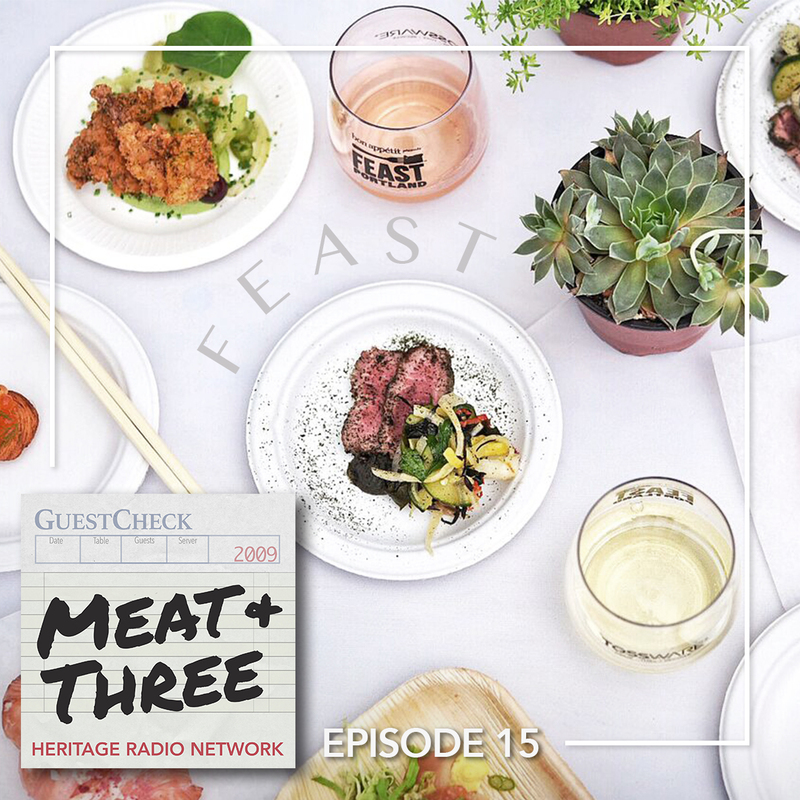 For our Feast coverage, they helped us explore the intersections of food and identity with guests Rachel Yang, Diego Galicia, Rico Torres, and Reem Assil. The more chefs talked about how their personal history and family ties shaped their culinary identities, the more we noticed that there was one theme that popped up quite a lot: the overwhelming influence of grandmothers. We hear from Emma Bengtsson, Kristen Murray, Maya Lovelace, Jill Keuhler, and Bonnie Morales. Each woman shares an inspiring story about how their grandmothers shaped their lives and culinary aspirations. We end this week with a short excerpt of Dana Cowin’s interview with Jim Meehan. Hear how Meehan envisions the future role of alcohol in restaurants and cocktail culture – especially with the rise of legalized cannabis. It got us wondering if the grass is greener on the other side… a topic we’ll explore in next week’s Meat + Three!